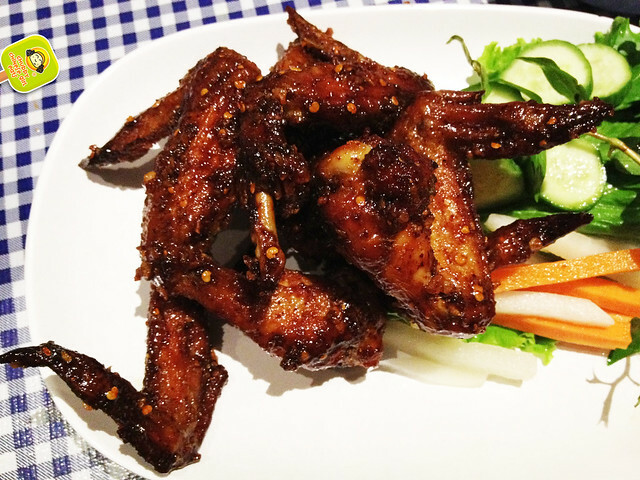 You can’t seem to mention Pok Pok NY without bringing up their wings. So popular, in fact, Pok Pok Wing even made it to Manhattan for a short while. Unfortunately, that was cut short and the only way to taste these finger lickin’ good wings is crossing the bridge to Brooklyn. 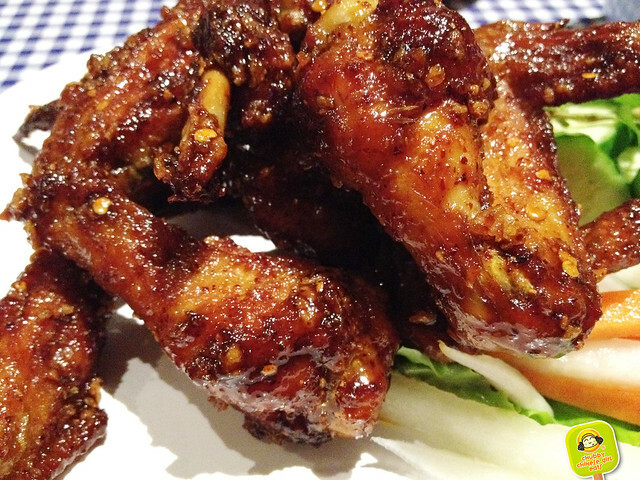 The wings recipe comes from Vietnam, but most of the menu is Thai, mainly North and Northeast of Thailand. The Cha Yen (Thai ice tea with evaporate milk) was strong and sweet, just the way StalkerBoy likes it. 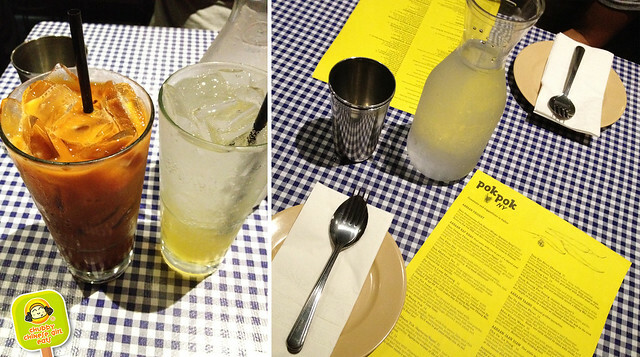 I got persuaded by the waitress to try Pok Pok Som Drinking Vinegar – Pineapple Flavor. Had my doubts, but sipping the mildly sweet and tart combo with the food was phenomenal. The fizz worked well with the heat on my tongue. Nice fruity flavors that balanced the dishes in a way no canned soda could. Now to the main event… the WINGS! The natural chicken wings spent a good amount of time marinating in fish sauce and palm sugar. 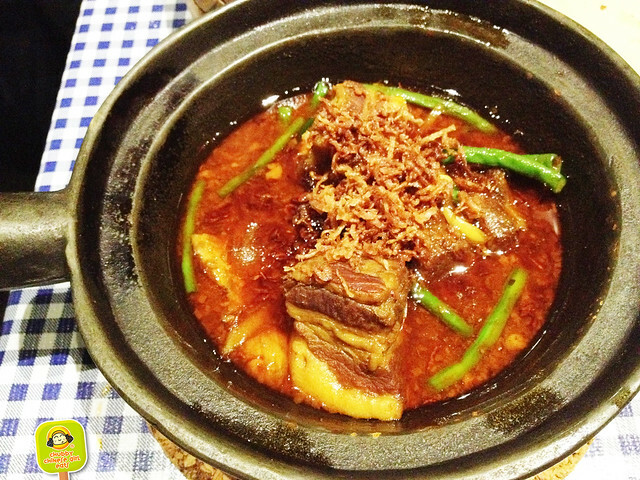 After absorbing it all, it’s deep fried and coated with a caramelized fish sauce and garlic. One bite of these sweet, spicy and garlicky wings – I was sold! We ordered spicy, which was pretty mild. The fish sauce gave it that complex taste, salty and a bit briny with some umami. 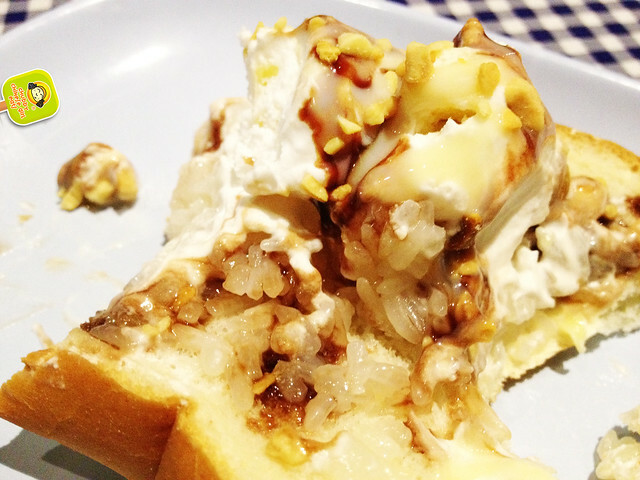 The final product is sticky, crunchy, salty, sweet, and heavenly fragrant. Oh so flavorful and finger lickin’ lip smackin’ good. It has everything I love about BonChon but up a notch. I choose these over BonChon or Kyochon any day, yes! that amazing!!! Best wings I’ve had in this city. I’m predicting pregnant lady like cravings any time soon. 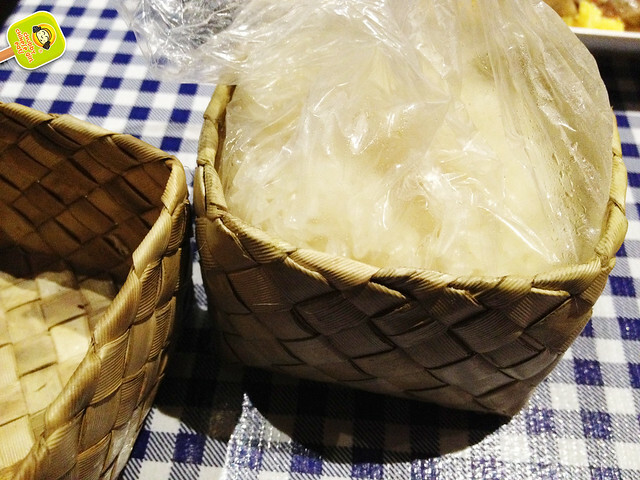 Their Sticky Rice comes in a bag within a bamboo box, I instantly had flashbacks to my meals at SriPraPhai in Queens. As I opened carefully, the steam poured out, this was looking great, but sadly, the texture was a bit hard. This was a bit of a disappointment. The smokey flavors weren’t present and the overly dressed presentation made everything a bit soggy. Maybe it’s just me, but I hate my salads all wet like this. 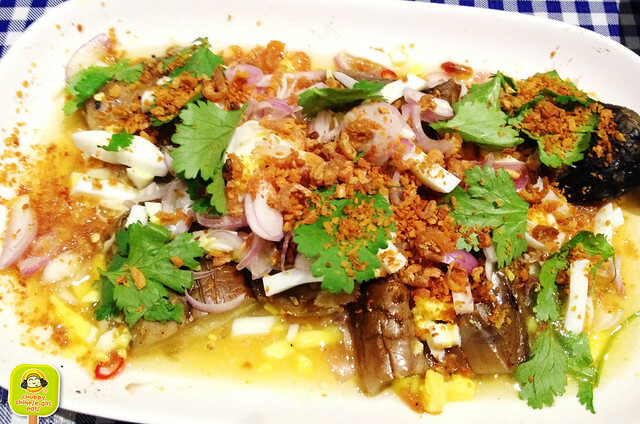 The thai chillies, lime, fish sauce and palm sugar worked well in a very familiar Thai flavor profile kind of way. I was surprised by the chopped hard boiled eggs. 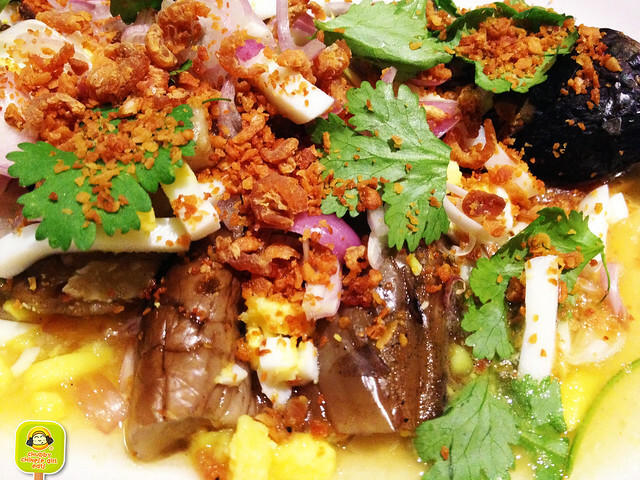 The shallots and crispy garlic on top sorta saved it for me (a sprinkle of that crunchy goodness makes any dish better), but I’ve had way better eggplant dishes. 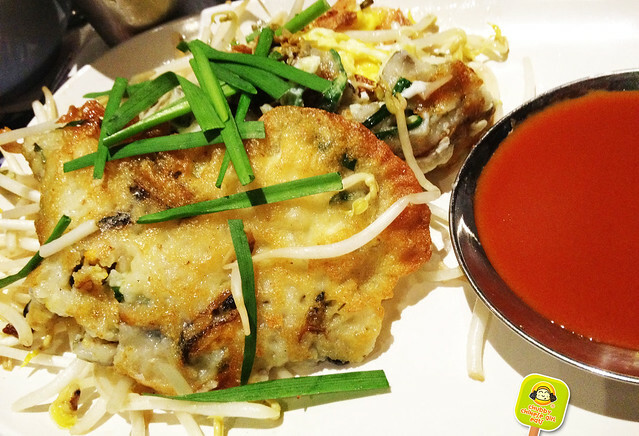 HOI THAWT – Crispy broken crepe with steamed fresh PEI mussels, eggs, garlic chives and bean sprouts with a side of SriRacha sauce. Apparently these are very popular at Thai night markets, a specialty street food. To me, they were almost identical to Taiwanese Oyster Pancakes (found at Main Street Imperial Taiwanese Gourmet or Taiwanese Gourmet Corp). Only instead of oysters, these had mussels. These had a slight advantage due to the crispiness of the dough, while the Taiwanese version is a bit more chewy, doughy and slimy (in a good way). Mild, the natural flavors of the mussels weren’t overpowered. The eggs were soft while the bean sprouts gave it a nice fresh crunch. A nice, sweet and spicy sauce to bring it all together. 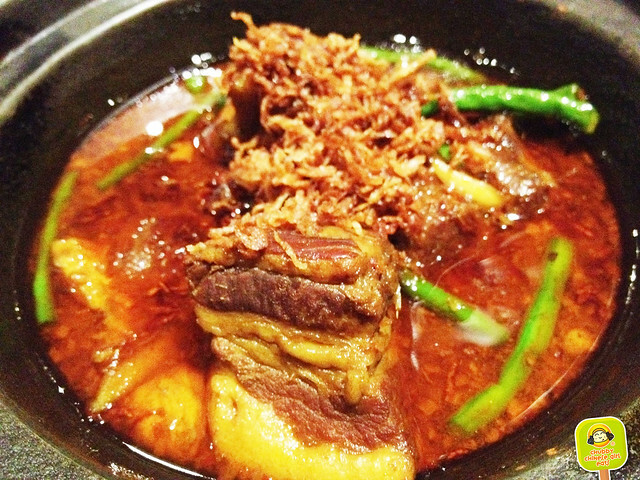 KAENG HUNG LEH – Northern Thai sweet pork belly and pork shoulder with curry, ginger, palm sugar, tumeric, tamarind. Burmese curry powder and pickled garlic. This translates to comfort food in any cuisine. Soft pieces of pork absorbing all that spice. The pieces of fatty pork and the flavorful sauce was great poured over stick rice. It was good, but not amazing. I was a bit confused at first sight. 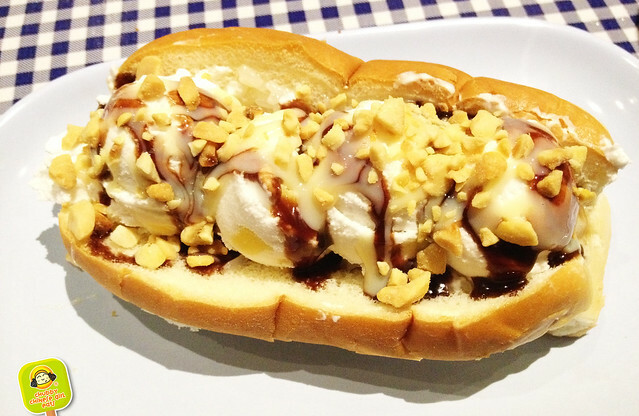 But StalkerBoy assured me with his memory of South East Asian “ice cream sandwiches” with rainbow bread and ice cream. The flavors didn’t interest me until the chewy stick rice came into play, adding a texture that’s not often found with ice cream, the closest thing would be mochi. Their ice cream is amazing. Coconut with pieces of jackfruit (think the marriage of pineapple and banana). Tropical in a very Asian kind of way. Surprisingly enjoyable. A great way to end our meal. ALERT: The table next to us, ordered their Durian dessert. The strong pungent Durian fruit is the kryptonite of many many people, including this Chubby and Andrew Zimmern. Overall, I thought the wings would be the reason of my returns. The rest of the dishes were good and flavorful. 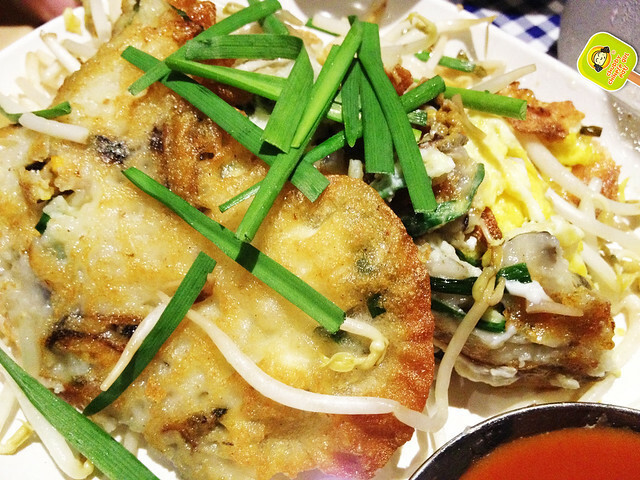 This is Thai food unlike your usual spot. According to StalkerBoy, it is more “Americanized” (he grew up in Asia), but for someone who’s never been to Thailand, this seems pretty legit. I’ll definitely go back to try other items. They don’t take reservations and waiting for 30-45 minutes seems to be average, unless you get there super early. These chickens did not give their lives in vain!